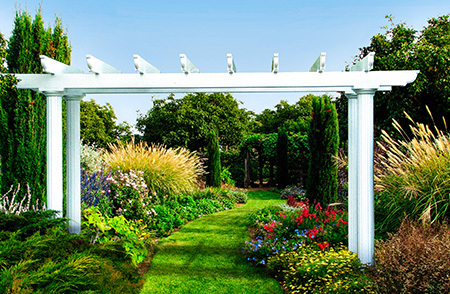 At SRA Home Products, we’re proud to offer top-of-the-line sunrooms to the residents of Willow Grove, King of Prussia, and other nearby areas in Pennsylvania. 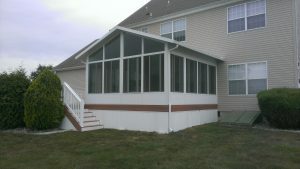 We’ve served as a trusted sunroom dealer and installer since 1988, and during this time we’ve developed a reputation for providing only the finest products and installation services. For example, we exclusively install sunrooms from TEMO, a manufacturer that is widely known for creating beautiful, innovative products with advanced features. As outstanding as TEMO sunrooms are, they will only look and function as they should if they are properly installed. At SRA Home Products, all of our technicians are factory trained and have extensive experience installing TEMO products, so you can rest assured that, when you hire us, your new sunroom will be installed by a team that upholds the highest standard of craftsmanship. And, for your peace of mind, all of the TEMO products we install come with lifetime transferrable warranties. 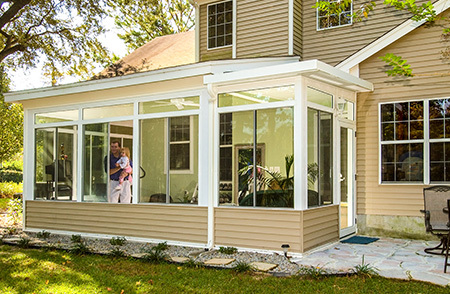 If you are interested in learning more about the sunrooms that SRA Home Products offers to homeowners in Willow Grove and King of Prussia, PA, contact us today.